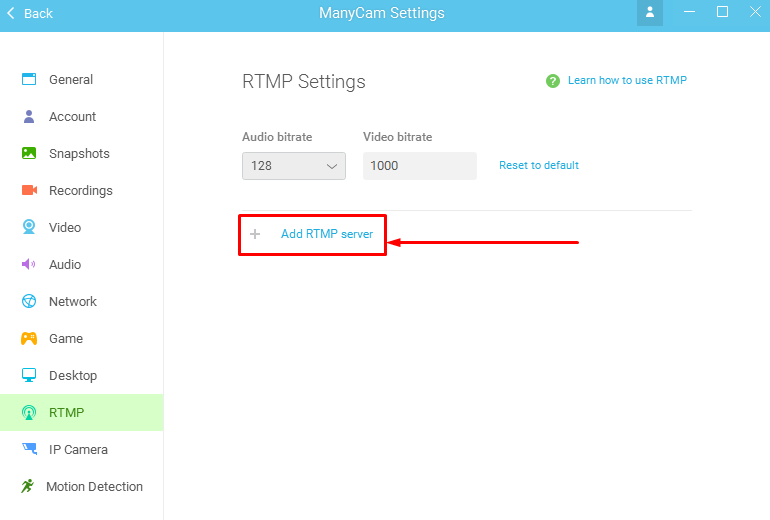 How do I stream using ManyCam? 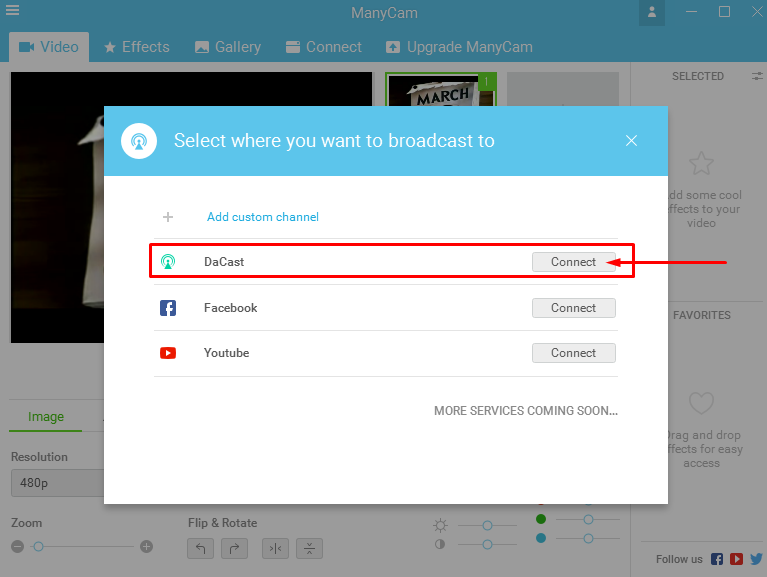 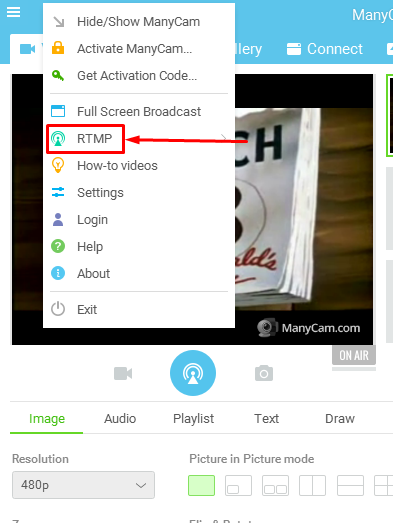 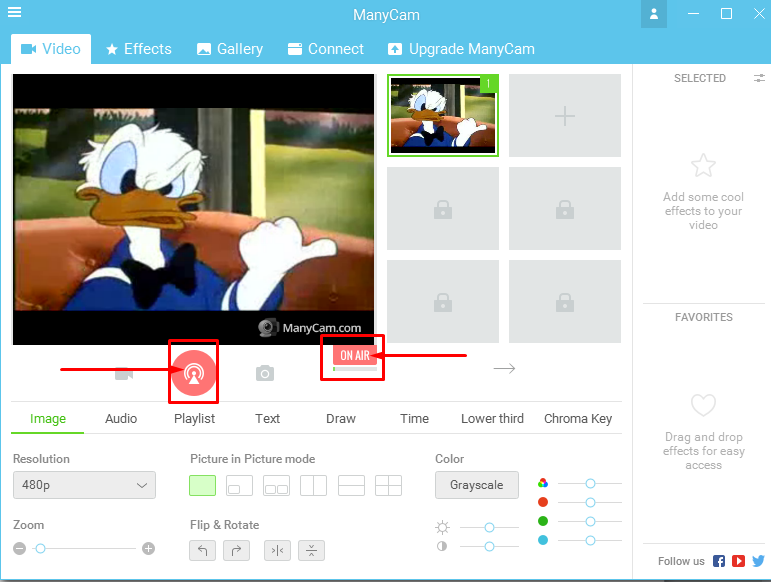 This guide will help you stream on a DaCast channel using the ManyCam encoder. 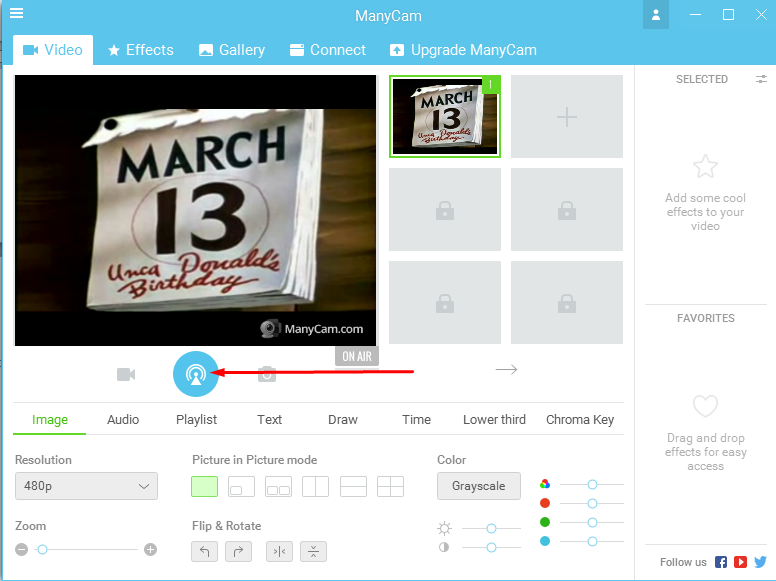 There is a free version available with limited features. 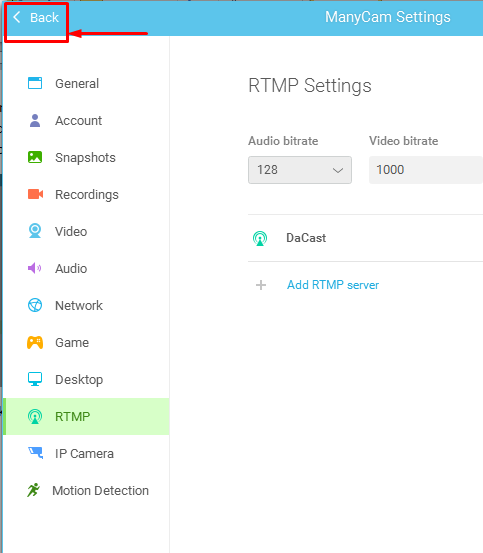 2) Login to your DaCast account, select the channel you want to stream on and go under the encoder setup section. 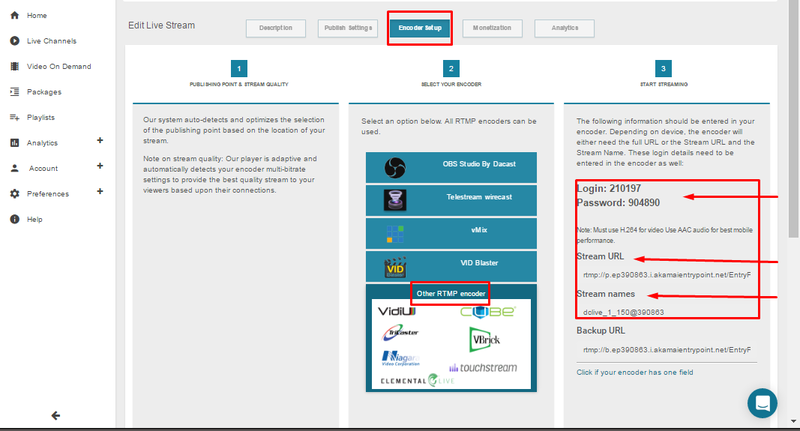 Once you have entered all those information you should be able to click on the CREATE button. 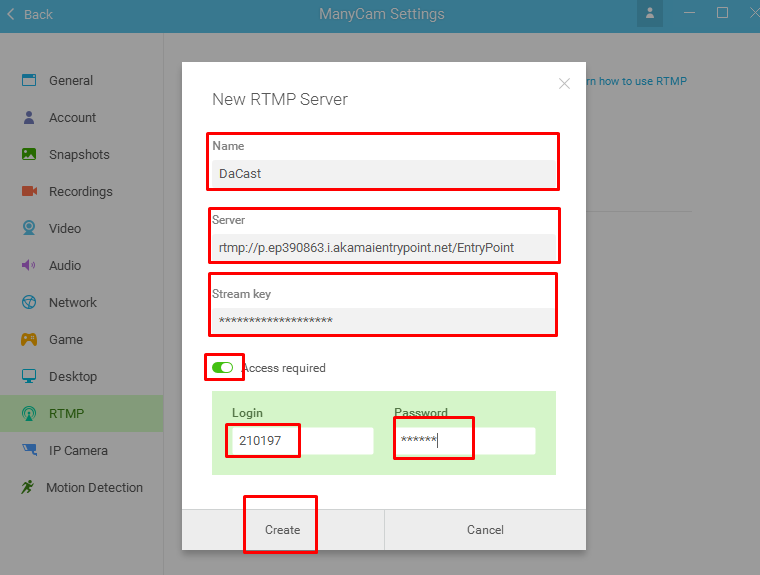 If the CREATE button is not clickable you must have missed an information.